We are privileged that you have chosen us to assist you with your health care needs. Our philosophy is to help empower you to live your best life. We believe in total women's health caring for you during your healthy pregnancy to menopause. Our focus on wellness and preventative health care helps give our patients the tools to maximize their health. 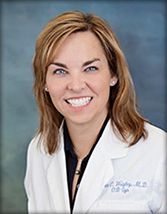 Dr. Linda Wrigley enjoys building relationships with her patients and their families for a lifetime. We are pleased to offer total women's health care services within our office. Our interest in helping women feel and look their best prompted Dr. Wrigley to offer services through Alaska Body Aesthetics to help meet more of your needs within our office. Please contact us at (907) 569-8810 with questions or to schedule an appointment. ©2011 Alaska Ob-Gyn Associates. All Rights Reserved. birth control, infertility treatment, daVinci surgery, and well woman exams.